We’ve spent decades bathed in the glow of artificial light, but it’s only recently that we’ve started to realise our bodies are naturally tuned to the sun, and exposure to the fake stuff can throw off sleep schedules and even damage our eyes. 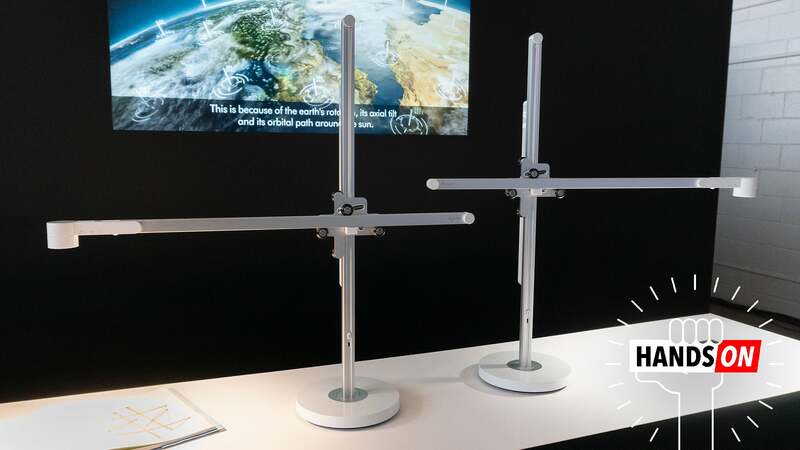 Dyson, which has re-engineered everything from vacuums to hair dryers, is introducing a new lamp that takes advantage of LED technology to mimic the tone and intensity of natural light to fool your body into thinking you spend more time outside than you do. Editor's Note: We don't have an AUstralian price or release date as yet. If you’ve ever used the Night Shift setting in iOS or Mac OS, Android’s Night Light, or even desktop apps like f.lux, then you understand why constant exposure to harsh blue light isn’t great for you, especially when you’re trying to fall asleep at night. The Dyson Lightcycle is basically the real world version of those apps, tinting everything you see to emulate the intensity and colour temperature of the light outside your window, matched to wherever you are on Earth. Inspired by a construction site crane? 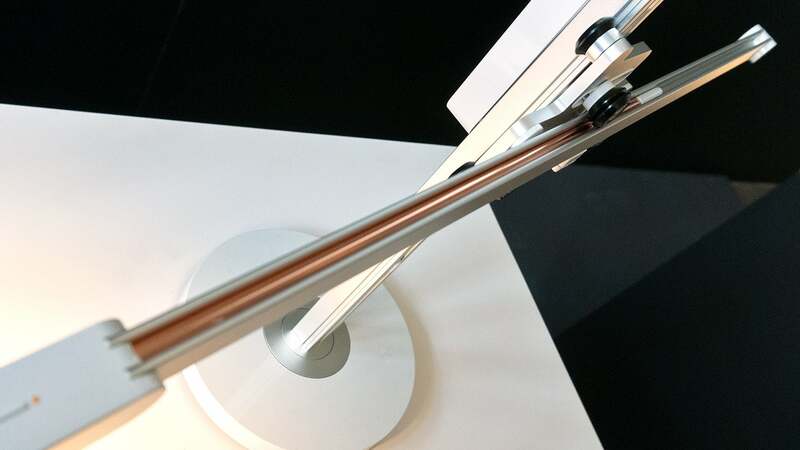 The Dyson Lightcycle lamp has an industrial appeal going for it. 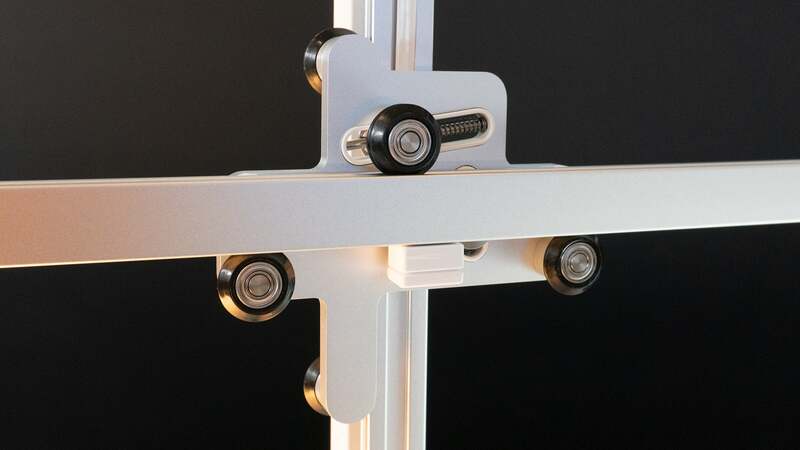 A series of springs and rollers allow the Lightcycle’s horizontal arm to be raised, lowered, extended, retracted, and even turned around so it moves in the opposite direction. Just above the Lightcycle’s pivoting base is a single USB-C port for charging another device. A hidden copper tube serves as a heatsink for the Lightcycle’s LEDs, extending their life expectancy. 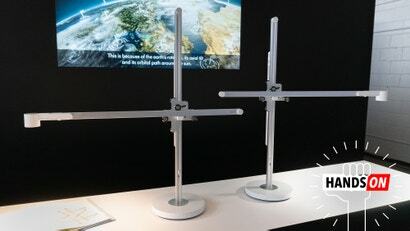 Based on the design of the Dyson CSYS task light, the Lightcycle is reminiscent of a towering crane you’ll find on a construction site, with the light itself situated on the end of a boom arm that can slide forward and back horizontally, or be raised and lowered. 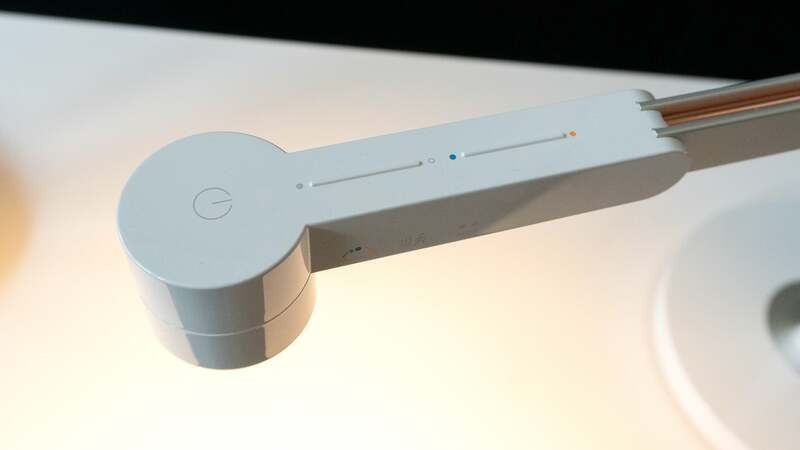 It’s designed to hover and put light directly over a specific work area, instead of illuminating an entire room, so most users will put it on a desk. 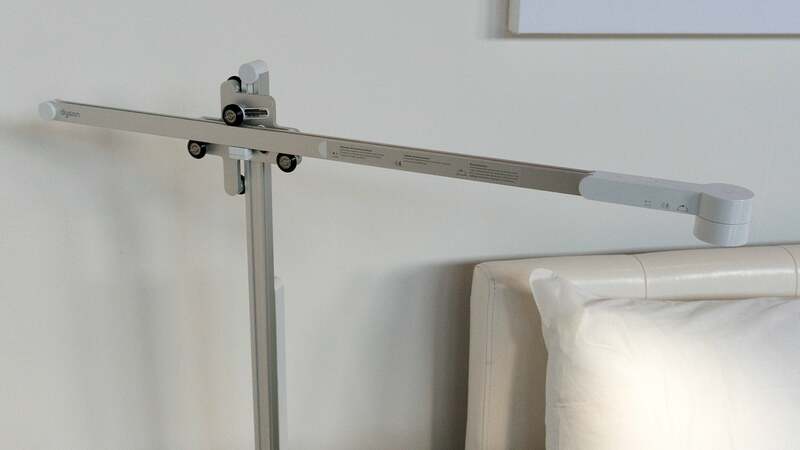 But a taller, floor version is also available for use as a reading light, or a bed-side lamp. Unlike most of Dyson’s products which look like props from a futuristic sci-fi movie, the Lightcycle has an industrial aesthetic which might limit its appeal given lamps are often chosen to emulate a room’s specific decor. Touch-sensitive controls mean the lamp is easy to clean should you adjust it using lunch-stained fingers. 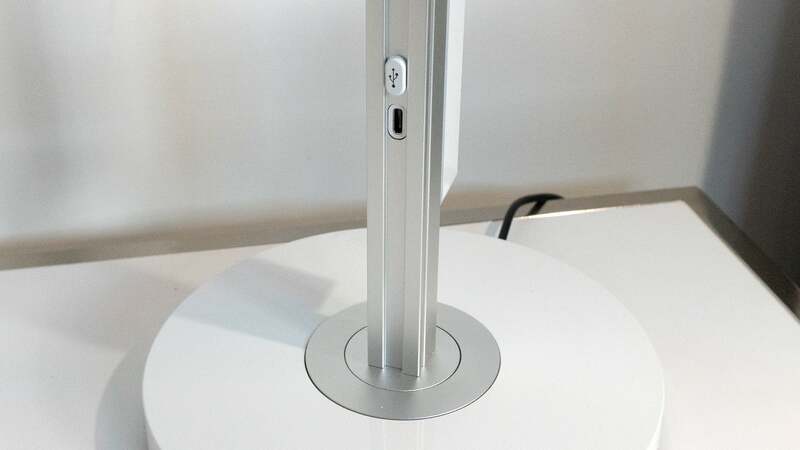 A series of hidden buttons let you manually adjust how the Lightcycle lamp works, including a motion sensor to automatically turn it on and off when you leave or arrive at your desk. 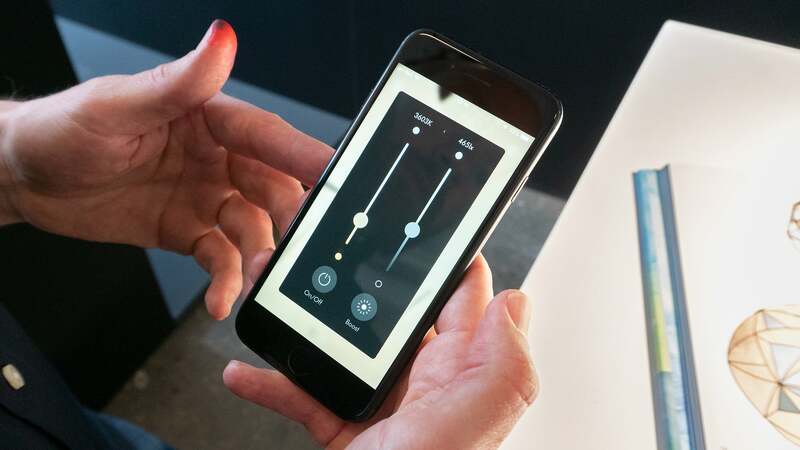 A Bluetooth-connected mobile app allows for fine tuning of the Lightcycle’s colour temperature, as well as all of its other settings, including your location. 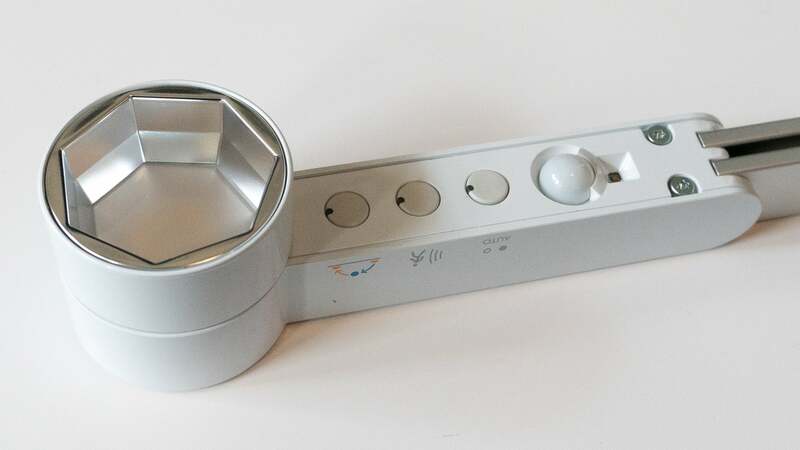 A set of touch-sensitive buttons and sliders allow users to manually turn the Lightcycle on and off, tweak the light’s colour temperature, adjust its intensity, and toggle functions like an infrared motion sensor that automatically turns the lamp off when you walk away for longer than two minutes. But using a Bluetooth-connected app users have even more control. The app allows you to specify your location so that the Lightcycle’s colour temperature and intensity mirror the conditions outside throughout the span of a day, and what’s recommended given the age of the user. But you can also dial in an exact colour temperature in Kelvins if, for example, you’re doing colour-critical publishing work and need to proof printouts or photographs. The app’s inability to automatically set your location based on your GPS location is a little disappointing, and at least at launch, its ability to manage multiple Lightcycles at once is far from streamlined. Various modes and presets can also be selected including a “Relax” mode that’s tailored for reading, a “Boost” mode when a higher intensity is required, or a “Sleep” mode which disables the motion sensor so the Lightcycle doesn’t turn on automatically when it senses you tossing and turning. Dyson even recommends the Lightcycle as an alternative to products like Philips’ Wake-Up Light with a “Wake-up” mode that gradually increases the LEDs’ illumination in the morning as a more natural way to wake you. In true Dyson fashion, the Lightcycle is expensive; even more expensive than the company’s fans and vacuums. The desk version is a gut-punching $US599 ($846), while the taller floor version is $US899 ($1,270). Even if you’re battling insomnia, or are terrified about damaging your eyes, that’s a lot of money to spend on a lamp when you can get sunlight-emulating LED bulbs for around $US10 ($14). It’s a beautiful piece of engineering, and there’s no doubt it provides a more tailored experience than a basic LED lightbulb with a handful of colour temperature modes can, but spending $US599 ($846) on a desk lamp will probably keep me awake at night far longer than the bluish glow of a smartphone screen will.